Exercise in breaking up factors into smaller parts to make division easier. 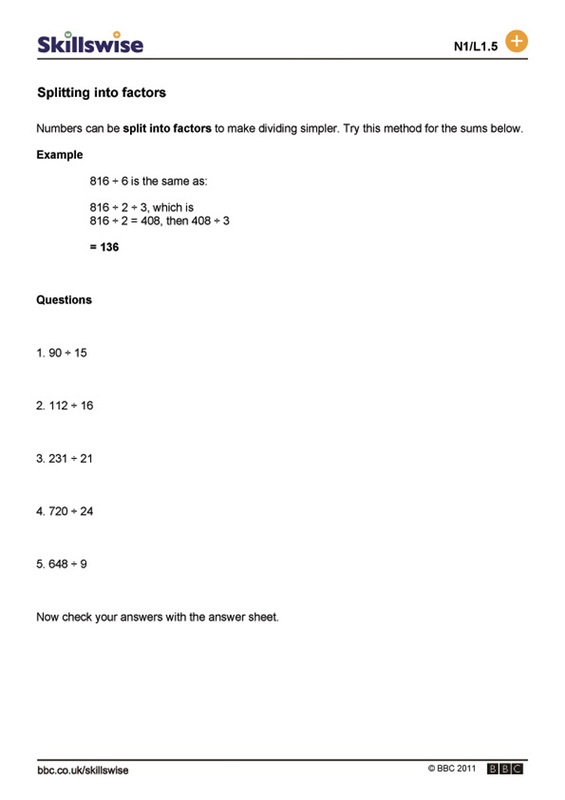 N1/L1.5 Recall multiplication facts up to 10 x 10 and make connections with division facts. Activity to practise division of numbers by factors of another number.